Are you tired of feeling stressed out? Do you feel frustrated with your life? Has it been hard for you to release the negativity around you and in you? You try to break free but the thoughts of anxiety grip your heart. Are you ready to live your life in the peace of God, beyond the fears that have darkened your soul? You are not alone Queen. Recently, I asked the Queens in my Queen Arise Sisterhood, “How can I pray for you?” Almost every response was a prayer requesting, you guessed it, PEACE. Queens are stressed and feeling a great deal of unrest in their lives. Life is not supposed to be that way for you my dear sister. 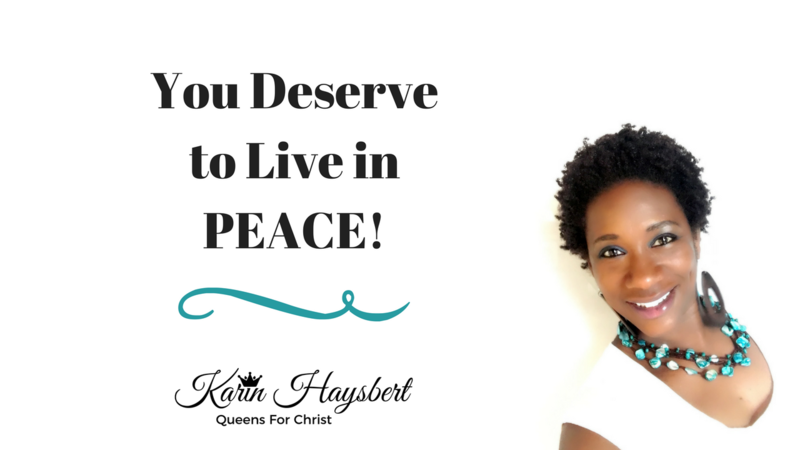 God desires for you to live in peace! I’ve been there. I know what it’s like to be drowning in worry. I also know how it feels to feel free of it and to live in true serenity. Click below..
To help my Queen Sisters with this, I’ve created a 5-part class series called “5 Steps to Mastering Inner Peace”. This course is for you if you are a woman of faith who wants to release the stress and unrest in your heart and mind so you can be free to fully embrace the peace of God in your life. · clearly define peace & identify the enemies of it so you can face them & overcome them. · discover God’s covenant of peace with us that covers every area of our lives. It is your divine birthright Queen. It’s time to thrive in it. · learn the easy steps to having a peaceful mind that leads to a peaceful life. · grasp how to truly hold your peace & remain tranquil when life's circumstances seem to want you to lose it. · master a simple process for manifesting peace in your life. If you are looking for a winning plan to bring peace forth every time, this is it! Sold separately, the training videos are valued at over $145. You can get instant access at almost 70% OFF for only $49! Queen, by now you realize that peace belongs to you. Don’t delay. Make a decision for you. It's time, now, to live your life in God's peace! This course is for you Queen if you are a woman of faith who wants to release the stress and unrest in your heart and mind so you can be free to fully embrace the peace of God in your life. Purchased separately, all of training videos are valued at over $145.